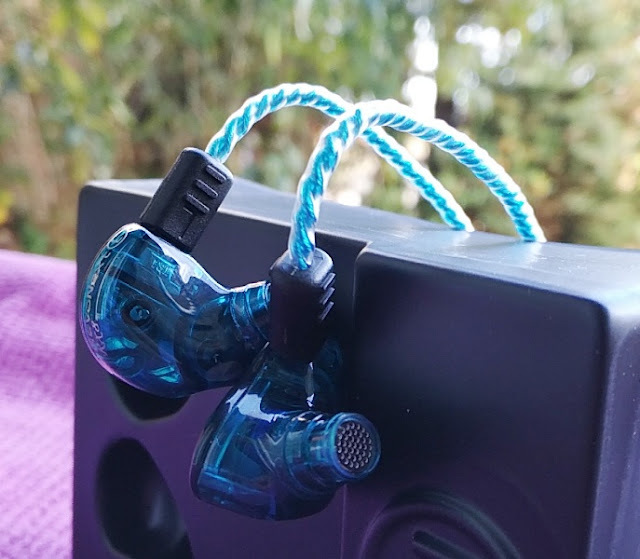 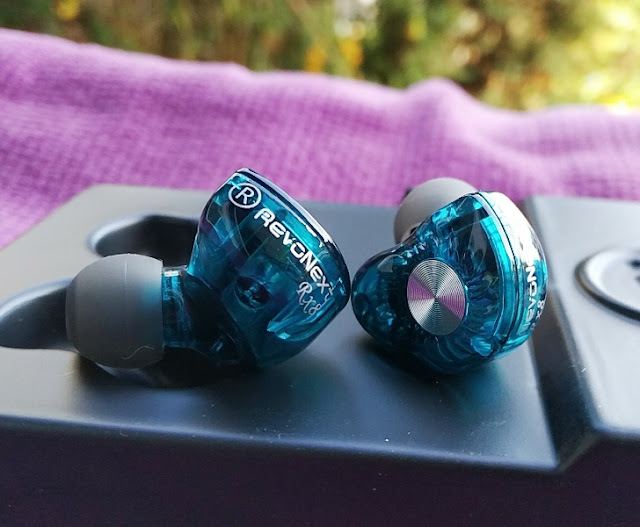 A pair of bright sounding earbuds like the RevoNext RX8 and RevoNext QT5 serve well as an inexpensive pair of studio-quality in-ear monitors! 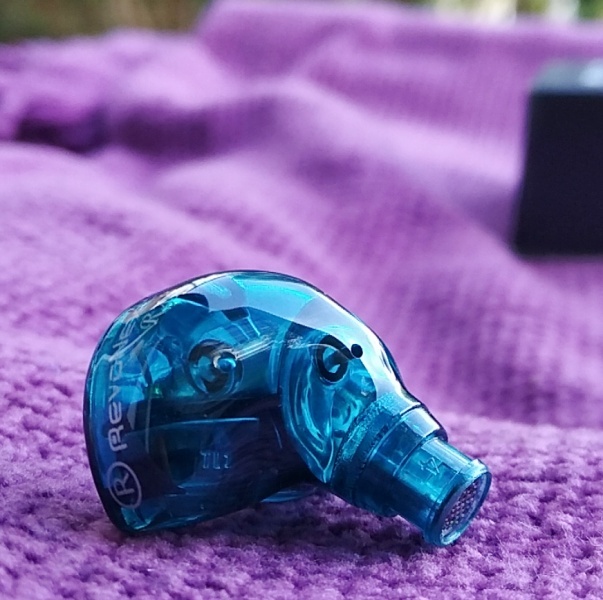 The in-ear monitors that studio engineers use have multiple drivers built-in (as many as five or six drivers) to monitor the sound frequencies independently. 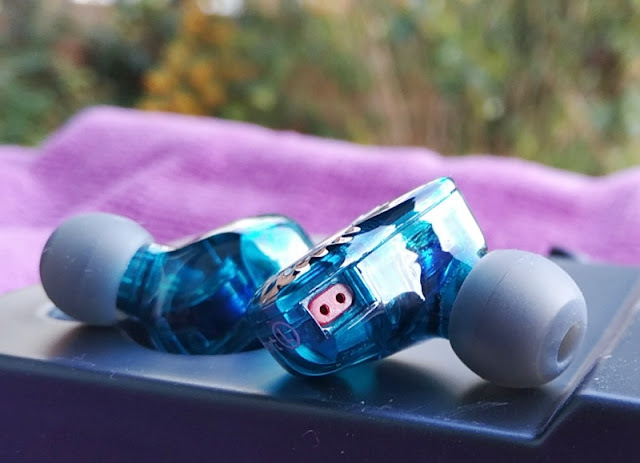 The RevoNext RX8 earphones use two drivers, one of which is a balanced armature driver in the front and one dynamic driver in the back. 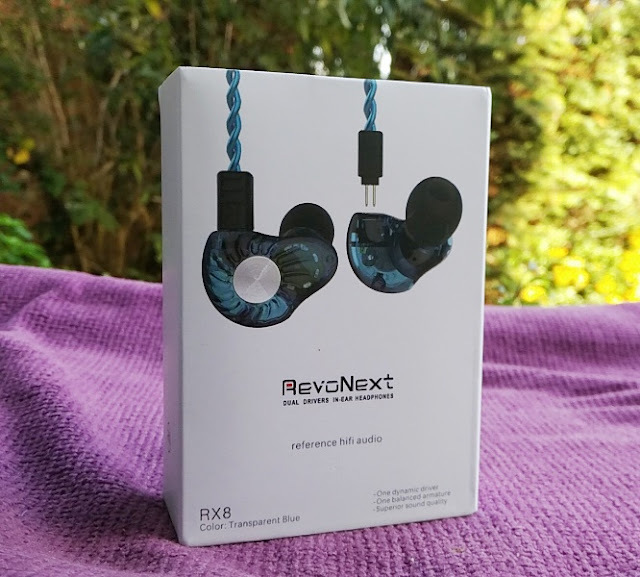 The RevoNext RX8 dual driver earphones are bright sounding earphones with a wide soundstage and very good instrument separation. 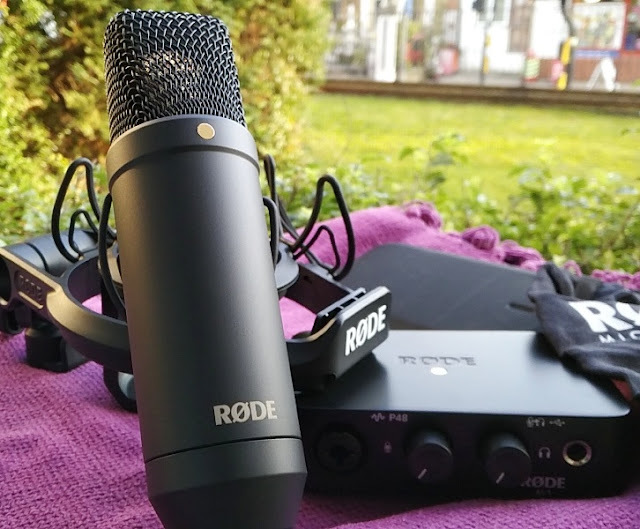 You get really bright highs; in fact, the treble is so clear and detailed that you will even hear sibilience/hissing in an audio track if the recording isn't using a pop filter. 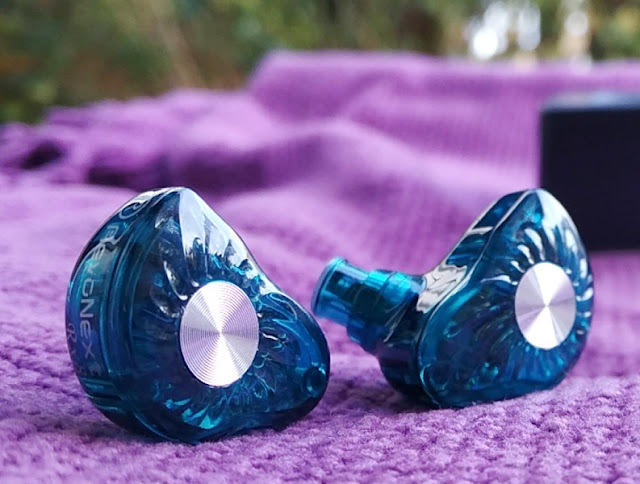 Being bright sounding though, it comes with a compromise and that is audio fatigue because of the piercing highs, but then again if crisp treble (40,000Hz) is your thing, the RevoNext RX8 earphones don't disappoint because you are able to hear acoustic instruments in fine detail. 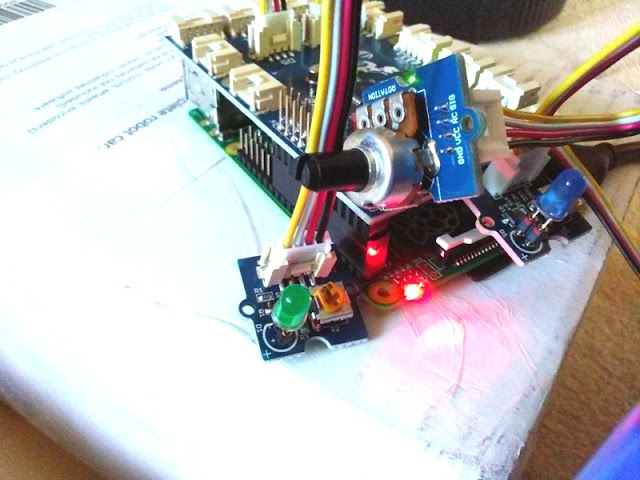 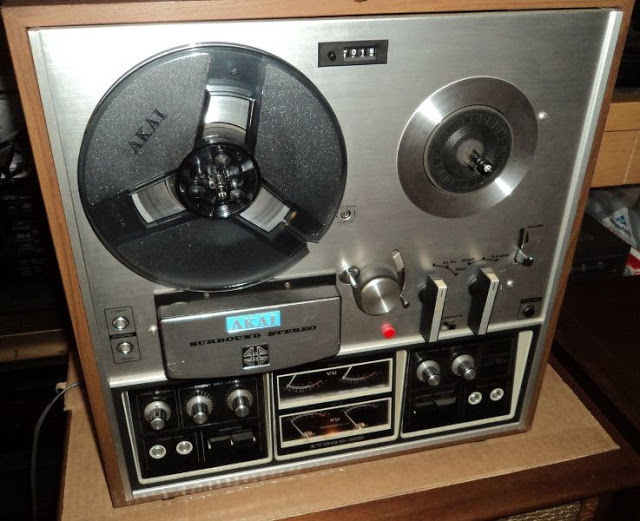 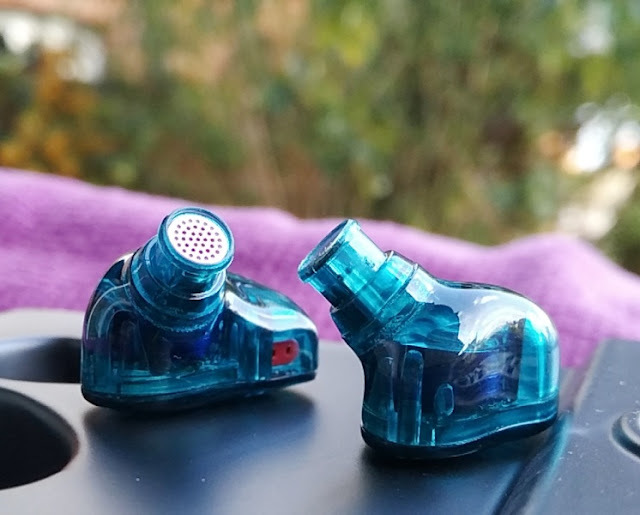 There is also plenty of bass (7,000Hz) available to complement the high sounds. 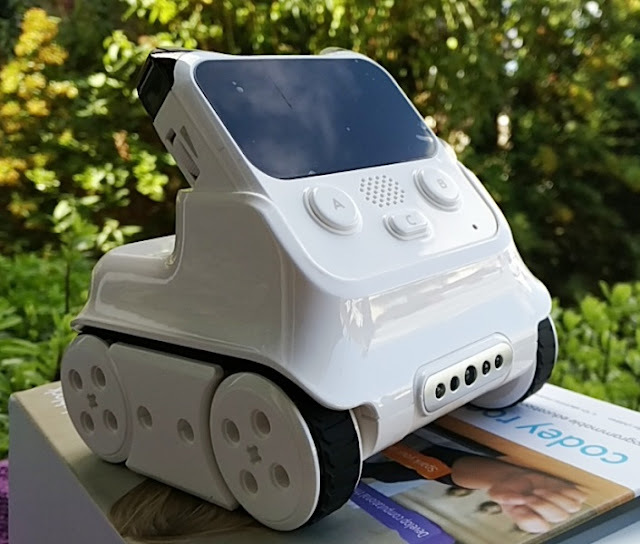 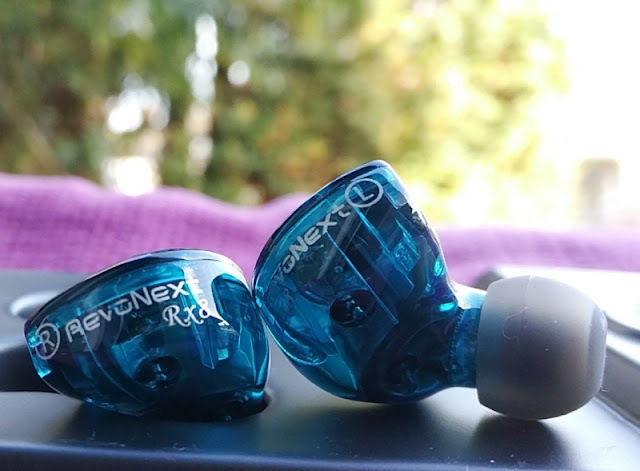 The RevoNext RX8 have a shell-like design with a build construction (including nozzles) made mostly of a semi-transparent plastic and circular aluminum accents on the front of the driver housing. 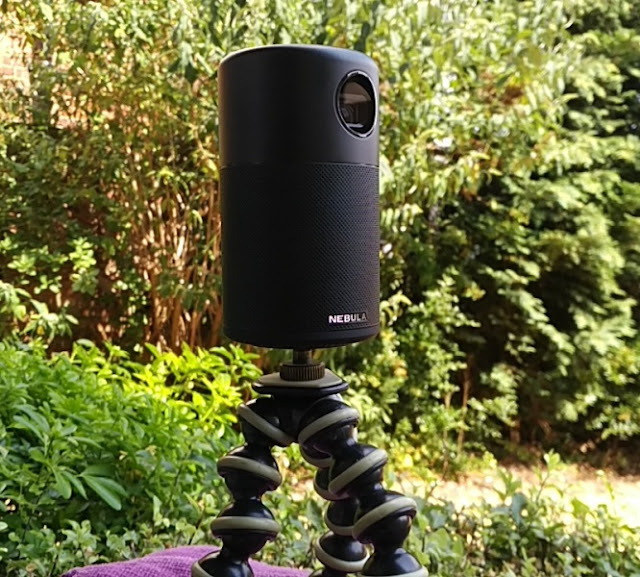 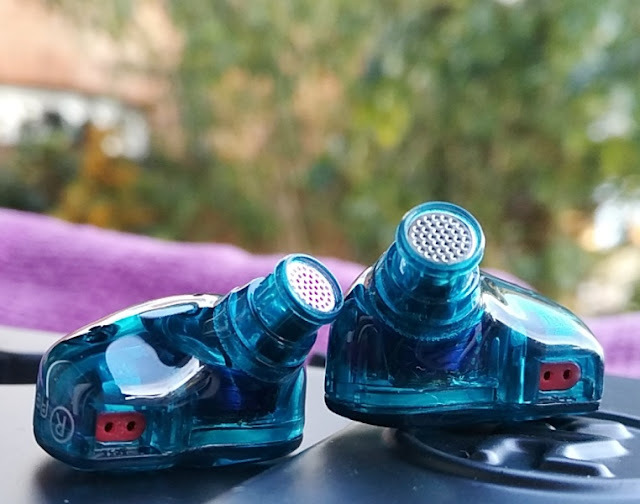 The RevoNext RX8 nozzles are slightly angled and feature metal mesh grills which help to keep the high frequencies of the sound more balanced than fabric mesh grill which tends to filter the high frequencies a bit. 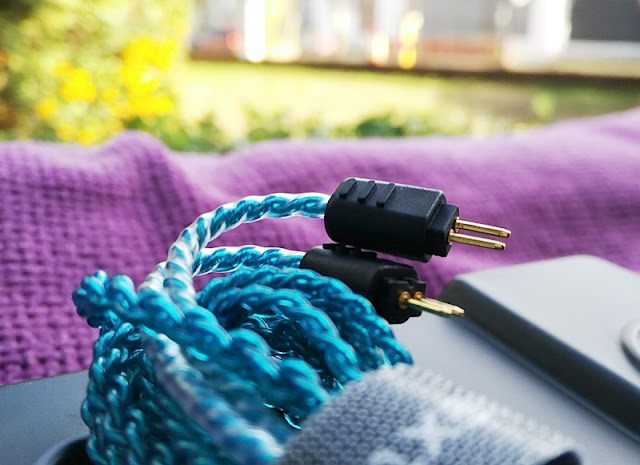 The 2-pin 0.78mm braided cable is 1.2 meters long and has a plastic sleeve protecting it.You find a right angle 3.5mm jack on one end and two metal pin plugs on the other. 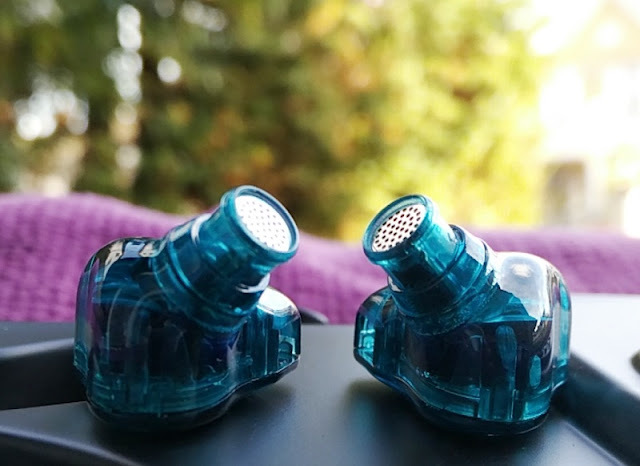 The left pin plug and right pin plug insert into their respective R/L ports of the earphones either way with a snug-fit that prevents the cable from detaching when pulling accidentally. 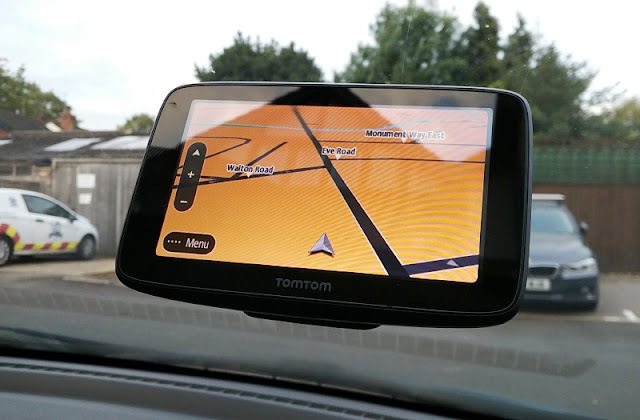 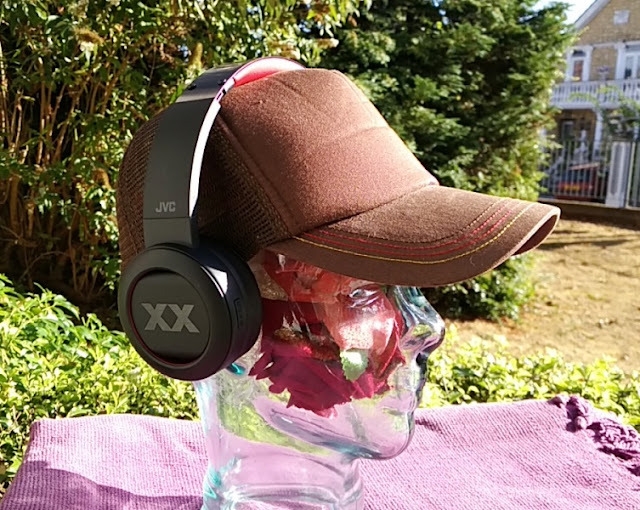 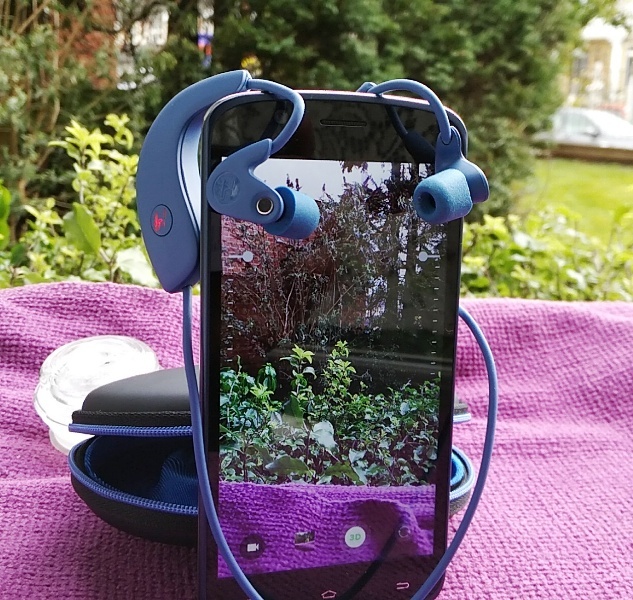 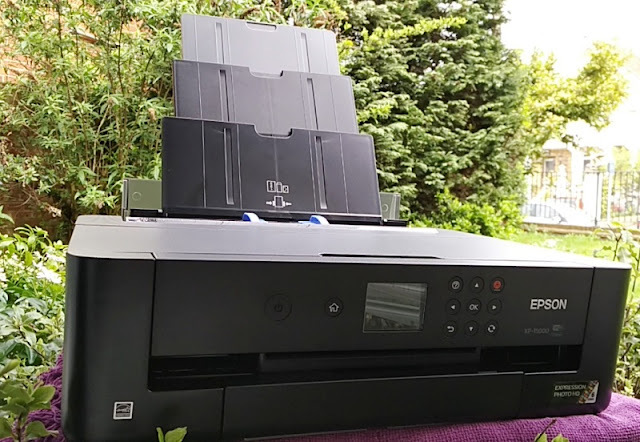 The snug fit also prevents dirt and moisture ingress but bear in mind that the RevoNext RX8 have no IPX rating so they are not water resistant/sweatproof. 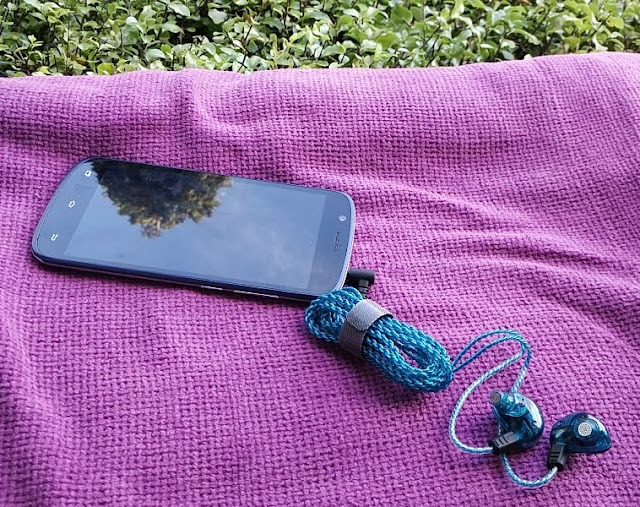 Inline the cable, you find a small cable adjuster that you slide up and down to fit the earphones' cable tightly or loosely around your neck. 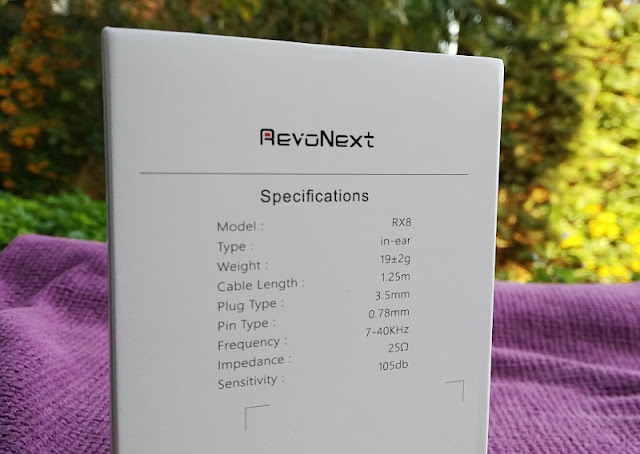 Speaking of fit, the RevoNext RX8 bright sounding earbuds weigh only 20 grams. 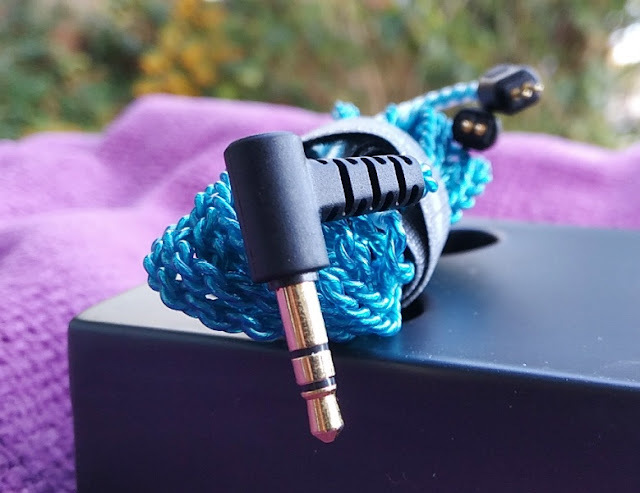 They are around-the-ear style earphones so the cable end of the earphones wraps around the back of your ears with the pin plugs facing up.